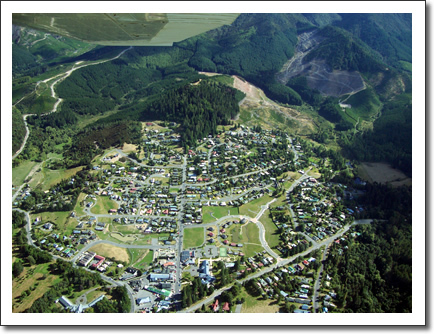 Nestled in a high country basin 385m above sea level, rests the tranquil small alpine village of Hanmer Springs (Pop 730). Located in the Canterbury region of the South Island of New Zealand. Hanmer Springs is 65 kilometres southwest from Kaikoura, and 90kms from Christchurch on State Highway 7, the northern route between Christchurch and the West Coast via Lewis Pass. The town is built around a popular hot spring which was discovered in the late 19th century. The hot springs; Hanmer Springs Thermal Springs were produced as a result of the fractured rock bed along the Hanmer fault. The town's other main claim to fame, the South Island's leading rehabilitation centre for sufferers of drug addiction, Queen Mary Hospital, was controversially closed in 2003. A protracted battle over the protection of the building and surrounding arboretum ensured. The premises reopened as a luxury spa in 2007. There are two skifields in the area, Hanmer Springs Skifield and Mount Lyford. Hanmer Springs is a popular tourist destination and the population swells greatly during holidays. The town has a scenic airline to show off its alpine surroundings, as well as a variety of adventure activities such as bungy jumping, mountain biking and bush walks. Hanmer Springs is also the gateway to the Molesworth station, Lake Tennyson and Rainbow station. During summer months travellers can follow gravel roads through the beautiful Rainbow Valley to St Arnaud and the Nelson Lakes National Park and through stunning Molesworth Station to Blenheim, Picton and the Marlborough region. Hanmer Springs is served by various bus and coach services from Christchurch. There are no passenger train or rail services from Hanmer Springs to Christchurch, Blenheim, Kaikoura or Picton.